Two weeks Round Tour in Nepal who have very short time and want to visit the historical and cultural place as well as to see the panoramic view we design itinerary for those tourists. In our two week itineraries discretion sightseeing in Kathmandu valley, Nagarkot, Dhulikhel, rafting in Trisuli river, Gorkha, Bandipur, Pokhara, Lumbini, and Chitwan then return to Kathmandu. Nagarkot is a famous place to see the mountain ranges and sunrise. It lies at an altitude of 2175 meters and is located 32 km east of Kathmandu. Dhulikhel is an ancient town located at 30 km east of Kathmandu along the Kathmandu - Kodari or Arniko Highway (way to Tibet) is famous for its scenic beauty and tradition - a lovely place. From this place, one can have a complete panoramic view of the snowy ranges of Annapurna, Langtang, Choba Bhamre, Gaurishanker, Number Karyolung etc. Gorkha is 141km western part from Kathmandu, birthplace of King Prithvinarayan Shah, who found Nepal, situated on a hill overlooking the snowy peaks of the Himalayan beautiful old palace know as Gorkha palace & Kalika temple. Pokhara valley is situated at an altitude of 827 meters above the sea level and is 200 kilometers west of Kathmandu valley. Prithivi Raj Marga is the highway linked with by Bhairahawa by Siddhartha Raj Marga [Sunauli border]. It is a combination of the long arrays of world famous snow clad peaks, emerald lakes, turbulent rivers with deep Georges and picturesque villages inhabited by Magar, Gurungs and Thakalis. Pokhara offers the magnificent views of Dhaulagiri, Manaslu, Machhapuchhare, five peaks of Annapurna Himalayas and others. 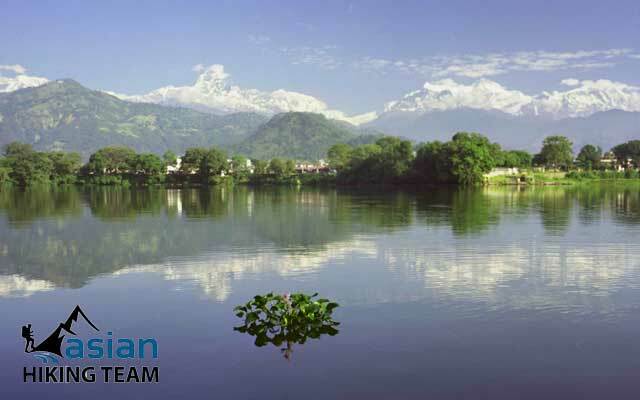 Pokhara numerous lakes known as "Tal" in Nepal offer fishing, boating and swimming, which ensure the famous Phewa, Begnas and Rupa Lakes of Pokhara. Pokhara is also referred as the center of adventure. It is the starting point for most of the popular trekking & rafting destination. The serenity of Phewa lake and the magnificence of Machhapuchhare [6,977m] rising behind it, creates an ambiance of peace and magic. Lumbini is the birth place of Lord Buddha, the apostle of peace and compassion. 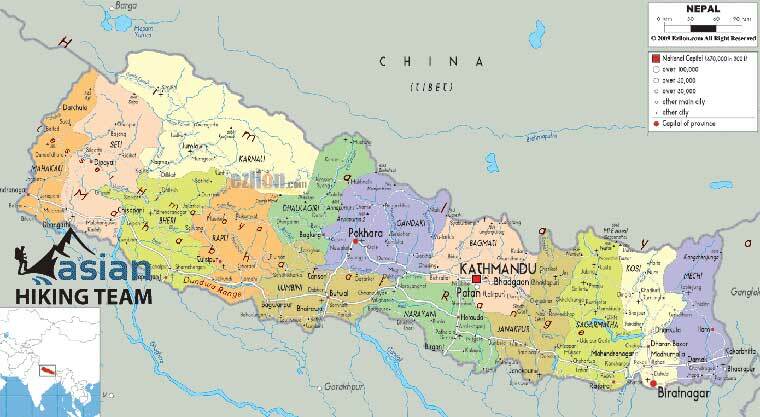 It is 21 km west of Bhairahawa and 285 km south-west of Kathmandu. It is a place of pilgrimage for Buddhist as well as a place of reverence for peace lovers of any religious faith throughout the world. In Lumbini the central attraction is the sacred garden with Maya Devi temple depicting the birth of Lord Buddha, Ashoka Pillar pinpoints the birth place of Buddha and Shakya Tank where Maya Devi, the mother of Lord Buddha, is supposed to have taken a dip before bringing forth the baby - Lord Buddha. Around this holy site, there are remnants of Monasteries and Chaityas built over the centuries following Buddha's birth in 632 BC. Chitwan National Park covers an area of 932 sq. km. The park includes hilly areas covered by deciduous Sal forest. One fifth of the park is made up of the floodplains of Narayani, Rapti, it's covered by dense tall elephant grass interspersed with reverie forests of silk cotton trees. This ecologically diverse area is a haven for some of animal species and exotic bird. Chitwan National park is one of the World Heritage Sites. Sauraha is known as a natural get way to Chitwan National park. Chitwan is also known as cultural diversity of ethnic Tharu people. Arrival in Chitwan, transfer to Hotel, reception, welcome drinks, lunch, and Tharu village visit, museum and sun set tour, on next day wake up call, breakfast, canoeing, jungle walk, visit elephant breeding center, Lunch, and elephant back safari or jungle drive, evening walk, dinner and Tharu Cultural show. On the last day wake up Call, visit bird watching tour, breaks fast and departure. Short Itinerary: Kathmandu – Nagarkot – Dhulikhel – Trisuli rafting – Gorkha – Bandipur – Pokhara - Chitwan - KTM. Highlight of trip: Sightseeing in Kathmandu the Historical and cultural city, Panoramic view from Negarkot and Dhulikhel and Pokhara, day rafting in Trisuli River, birth place of Lord Buddha and Finest national park Chitwan Safari. Day 01: Arrive in Kathmandu, transfer to Hotol half an hours drive, overnight at Hotel Kathmandu (B). Day 04: After sunrise view and breakfast sightseeing to Bhaktapur and Patan and transfer to Hotel, overnight at hotel Katmandu, (BB) . Day 05: Drive to Rafting starting point, 3.30 hours, Rafting in Trisuli river drop to Gorkha 2 hours, overnight at hotel Gorkha, (B,L,D). Day 06: Visit Gorkhanath, Kalika Temple and drive to Bandipur 3-5 hours, overnight at Hotel Bandipur, (BB). Day 07: After sunrise view and walk arround and drive to Pokhara 4 hours, transfer to hotel, overnight at Hotel Pokhara, (BB). Day 08: City Sightseeing in Pokhara full day with boating by car 5-8 hours, overnight at hotel Pokhara, (BB). Day 09: Drive to Lumbini through Tansen by car/bus 4-6 hours, overnight in Hootel Lumbini, (BB). Day 10: Sightseeing Tour in Lumbini full day, overnight at hotel Lumbini (BB). Day 11: Drive to Chitwan National Park By bus/car, 4-5 hours, transfer to hotel, Jungle activities start, overnight at hotel/resort Chitwan, (B/L/D). Day 12: Full day Jungle activities in Chitwan National Park 7am to 5 pm, (B/L/D). Day 13: Drop to tourist bus park on way to Kathmandu by tourist bus, 5 hours, transfer to hotel, overnight at hotel Kathmandu, (BB). Day 14: Drop to Airport or next trip, end your tour, (B). Pick up and drop to/from Airport. All land transport by Private transport and tourist bus. Accommodation as itinerary with breakfast 3-4 star hotel. Three Times meals during the Chitwan Jungle safari. Experience English specking tour guide. Rafting Equipments, guide, raft food, raft staff and rafting in Trisuli river. Entrance fees for Temple/Monastery during the tour. Lunch and dinner as itinerary. Day 01: Arrive in Kathmandu, transfer to Hotol half an hours drive, overnight at Hotel Kathmandu (BB). Day 02: City Sightseeing in Kathmandu with Guide/car, 5-7 hours (BB). After breakfast, we drive to Sakhu 45 minutes by private car/Bus. Explore the Sakhu village than head up to Nagarkot. it takes 4-5 hours trekking, the path is open. We can see the hidden valley, green mountain, white mountain. 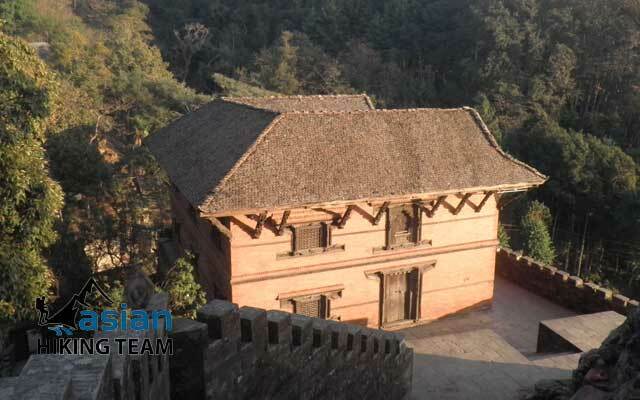 Upon your arrivei in Nagarkot transfer to hotel, Have a short rest and relax and join the sunset view from hotel, overnight at hotel Nagarkot hill top. Early morning to see the sunrise view from Nagarkot, Have a sunrise breakfast then we start drive from Nagarkot to Bhaktapur 1 hours,explore the old city and palace. Bhaktapur is one of the old devotees city inside Kathmandu. After Bhaktapur we drive to Patan city, explore sightseeing the Patan and transfer to your hotel in Kathmandu, overnigh at hotel. Day 05: Drive to Rafting starting point, 3.30 hours, Rafting in Trisuli river drop to Gorkha 2 hours, overnight at hotel Gorkha (BB). Today we leave early morning drive through Kathmandu to Trisuli river bank to Charaudi, our raft staff waiting to you and start your rafting. We have lunch on the way to rafting sport. After finished rafting trip 2-3 horus, drive to Gorkha bazaar 1.30 hours over night at hotel in Gorkha. Day 06: Visit Gorkhanath, Kalika Temple and drive to Bandipur 3-5 hours, overnight at Hotel (BB). After breakfast we walk to hill top of Kaliga Temple in Gorkha 45 minutes. Visit the king Prithivi Narayan Shaha who founder Nepal palace and Ram shaha Durbar. Explore the view of Mt. Manaslu and Ganesh Himal can be seen very nice view. Visit Gorkha old Museum, return to the hotel, lunch and drive to Bandipur hill top 2 hours over night in Bandipur. Day 07: After sunrise view and walk arround and drive to Pokhara 4 hours, transfer to hotel, overnight at Hotel Pokhara (BB). Explore the view and local culture and customs then transfer to Pokhara 4 hours. After few hours rest in Hotel then we bring you in Phewa lake for boating and dinner over night in Pokhara 900m. Day 08: City Sightseeing in Pokhara full day with boating by car 5-8 hours, overnight at hotel Pokhara (BB). After breakfast we drive to Mahendra Cave and on the way visit Bindabasini temple. Continues visit Seti river gorges, international mountain museum, Patalo Chhanga call Davi's waterfalls, and boating in Phewa Lake, its take 5- 8 hours tour, overnight at hotel Pokhara. Day 09: Drive to Lumbini through Tansen by car/bus 4-6 hours, overnight in Hootel Lumbini (BB). We drive early morning to Tansen where we stop for couple of hours to explore mountain view and village and continues drive to Lumbini 4/6 hours. Overnightat hotel Lumbini. Full day sightseeing in Lumbini the birth place of lord Buddha. In Lumbini, there is many monasteries and stupa, Maya Devi Temple so we can explore 4-7 hours, overnight at hotel in Lumbini. Day 11: Drive to Chitwan National Park By bus/car, 4-5 hours, transfer to hotel, Jungle activities start, overnight at hotel/resort Chitwan (B/L/D). After breakfast we drive to Chitwan National park 5 hours and our Chitwan Jungle safari activities is starting after arrival, Overnight at hotel in Chitwan. Day 12: Full day Jungle activities in Chitwan National Park 7am to 5 pm (B/LD). Full day jungle safari tour such as Elephant back safari, Elephant bathing, Elephant bedding center visit, cannoying, crocodile bedding center visit, jungle walking, village culture tour, culture programs, bird watching etc, transfer to hotel overnight in Chitwan. Day 13: Drop to tourist bus park on way to Kathmandu by tourist bus, 5 hours, transfer to hotel, overnight at hotel Kathmandu (BB). Finished rest of programs, take breakfast and drop to tourist bus park on the way to Kathmandu 5 hours, rest and shopping rest of time overnight at hotel in Kathmandu. Day 14: Drop to Airport or next trip, end your tour (B). As your departure time schedule, drop to airport for own way journey or next tour.